After a successful limited release, "Steve Jobs" is ready for its big national reveal. The Universal biopic about the eccentric Apple founder has pulled in roughly $2.3 million in its limited theatrical run, but now the film will expand from 60 theaters to over 2,400 this weekend. The wide release has box office analysts forecasting the film starring Michael Fassbender as Jobs bringing in roughly $15 million to $20 million in North America this weekend. Most analysts have the film landing on the higher end of that range. "This is the time of year when adult audience are looking for prestige films," said Phil Contrino, chief box office analyst at BoxOffice.com. 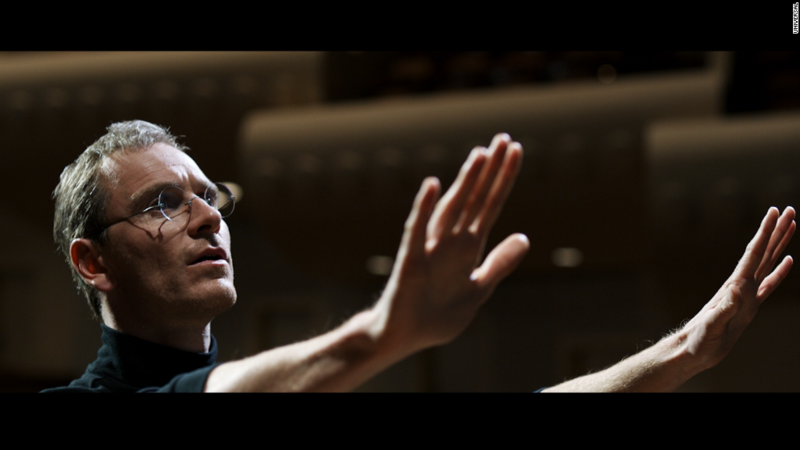 "'Jobs' has great reviews and a lot of Oscar buzz especially behind Fassbender." Contrino added that the pedigree behind the film's director, Danny Boyle, and screenwriter, Aaron Sorkin, may also help to boost the film's totals seeing that both are Academy Award winners. "Jobs," which was made on a modest budget of $30 million, is also another example of Universal's marketing prowess. "They're taking a subject matter that isn't the sexiest, and pumping some adrenaline into it," Contrino said. The film's trailers compare "Jobs" to another Sorkin film, "The Social Network," about the founding of Facebook. 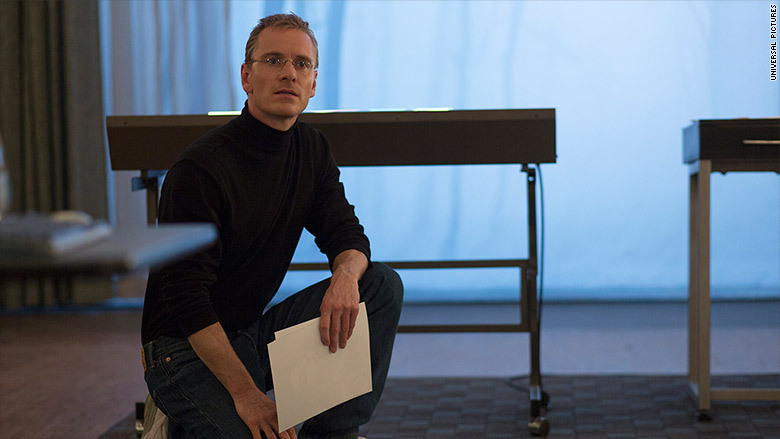 "Steve Jobs" is projected to bring in roughly $15 million to $20 million this weekend. But like "The Social Network" some have been critical of the liberties that "Jobs" has taken with its Silicon Valley subject. Laurene Powell, Steve Jobs's widow, has called the film "fiction" and Apple CEO Tim Cook has said he was unhappy with the film. However, not everyone who knew the real Jobs are upset with the film's portrayal of the Apple founder. Apple co-founder, Steve Wozniak -- who is played by Seth Rogen in the film -- told CNNMoney in September that "it is a stellar inspection that is unlike any other movie about Jobs." "The quality of production is equal to the quality that Jobs himself sought in products," Wozniak added. Whether "Jobs" will win the weekend isn't known. It will hit theaters the same time as the spooky "Paranormal Activity: The Ghost Dimension" and the Vin Diesel led "The Last Witch Hunter." "Jobs" will precede what could be a record breaking holiday season starting in November with the next James Bond film, "Spectre,"
"It's going to be huge, huge season and not only because of 'Hunger Games' and 'Star Wars,' but also because there's going to be a lot of strong mid-range films as well," Contrino said. "It's just a really robust slate of films on the way."